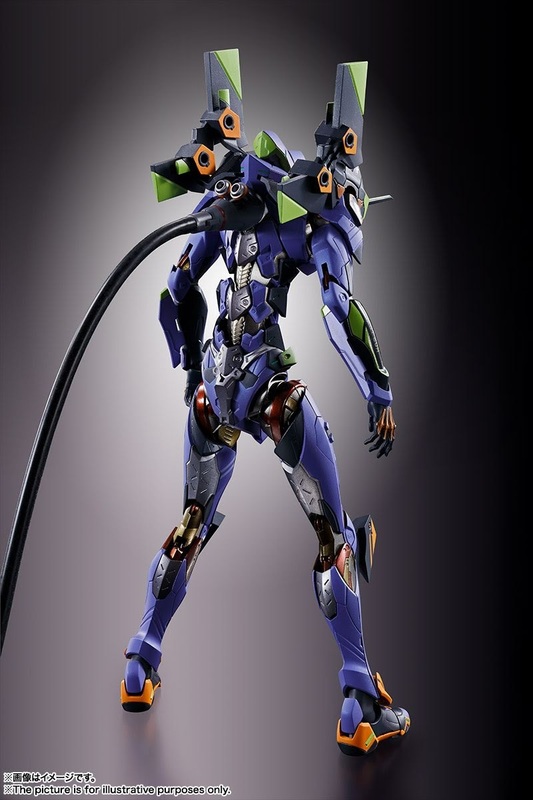 With the announcement of the 4th and final Rebuild of Evangelion film which is currently in the works will be shown in 2020, Bandai released the official images of their Evangelion Unit 01 figure that will be released in their METAL BUILD line. Rather making an anime-accurate Evangelion figure, Bandai opted to redesign the unit from the ground up, with Ikuto Yamashita; Evangelion's mecha designer supervises the design and production (watch the presentation video below). 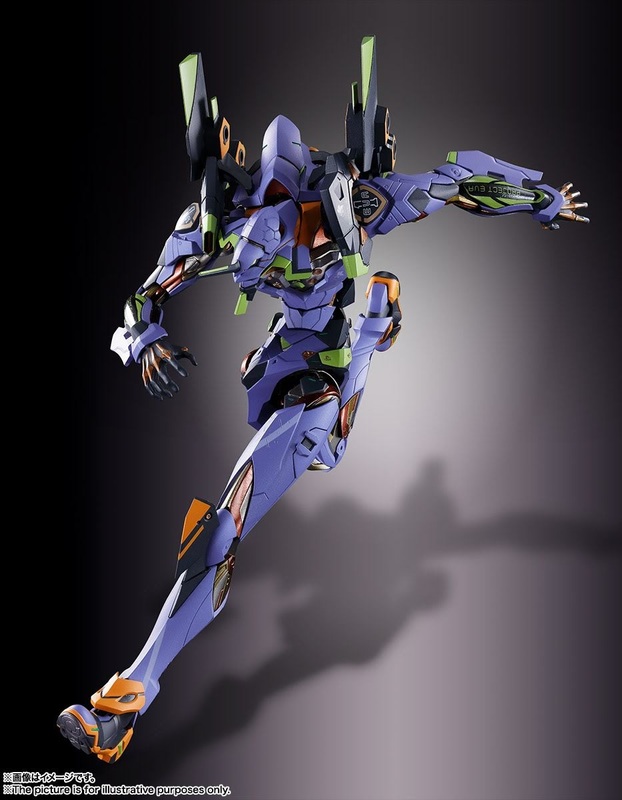 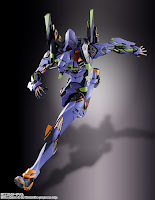 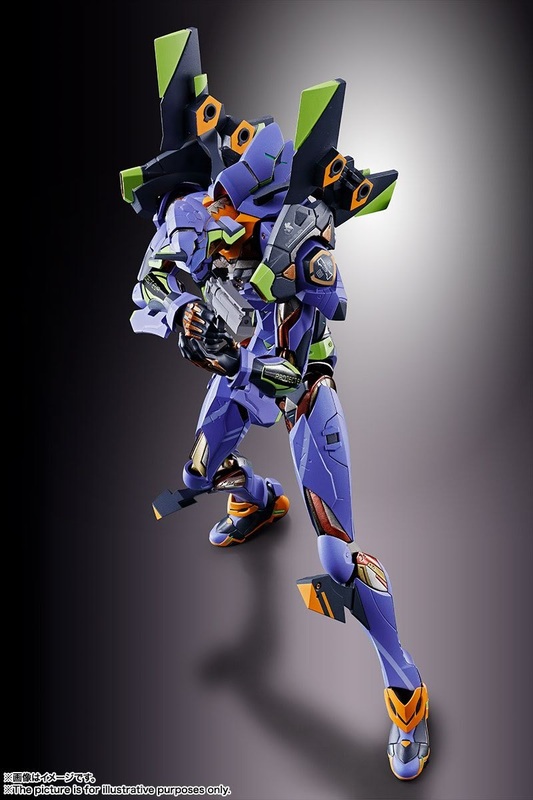 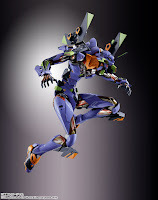 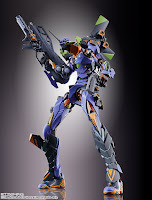 The Evangelion Unit 01 features "giant with steel muscles", and a new joint design that allows the figure highly movable and poseable similar that to a human body movement. 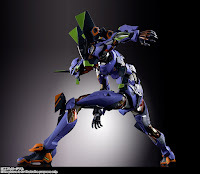 Aside from the movable joints, the Evangelion has weapons port on its redesigned shoulder pylons and an optional attrachment part which can be mounted on its legs for it can carry its weapons. 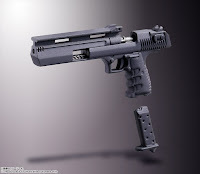 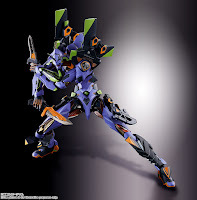 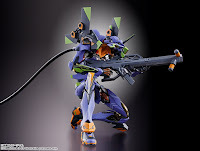 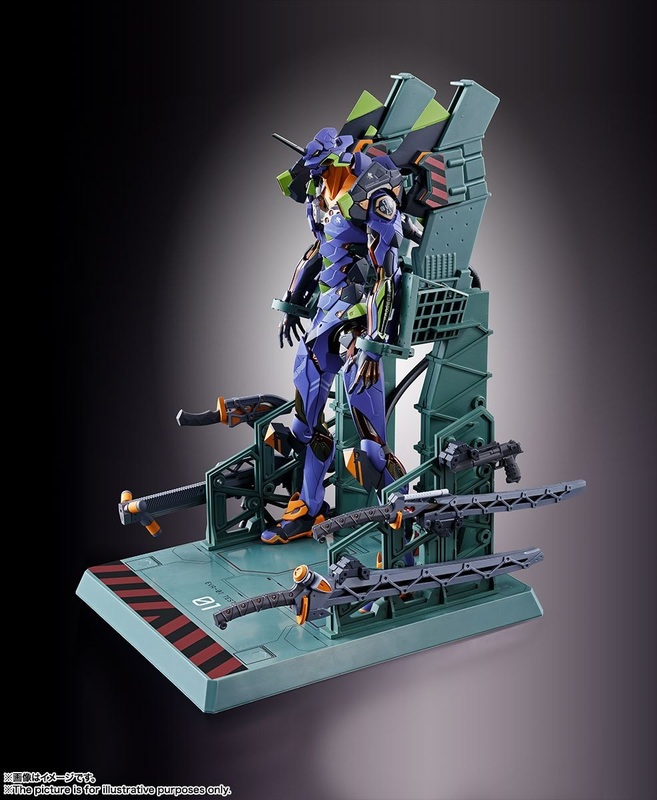 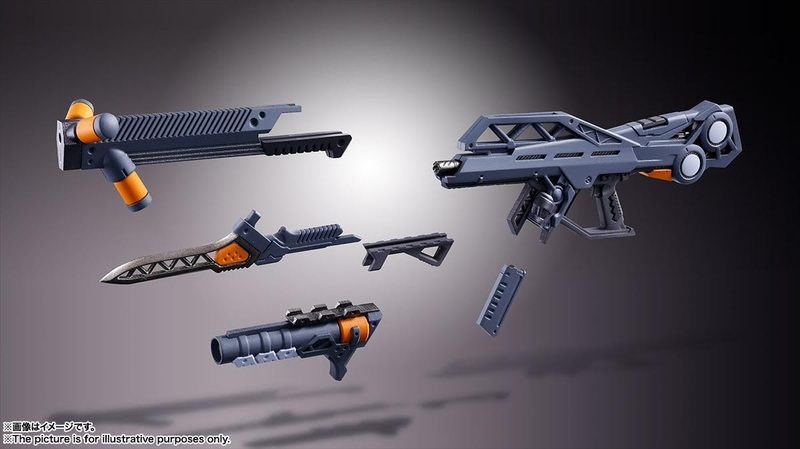 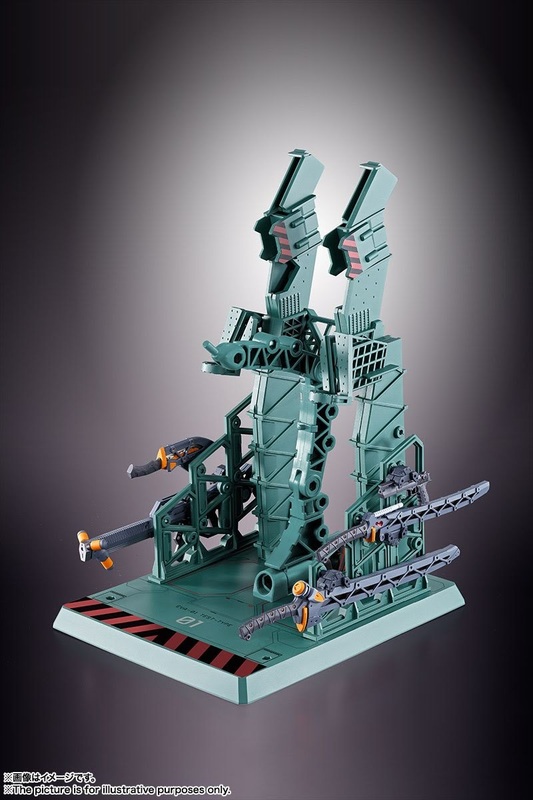 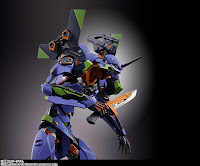 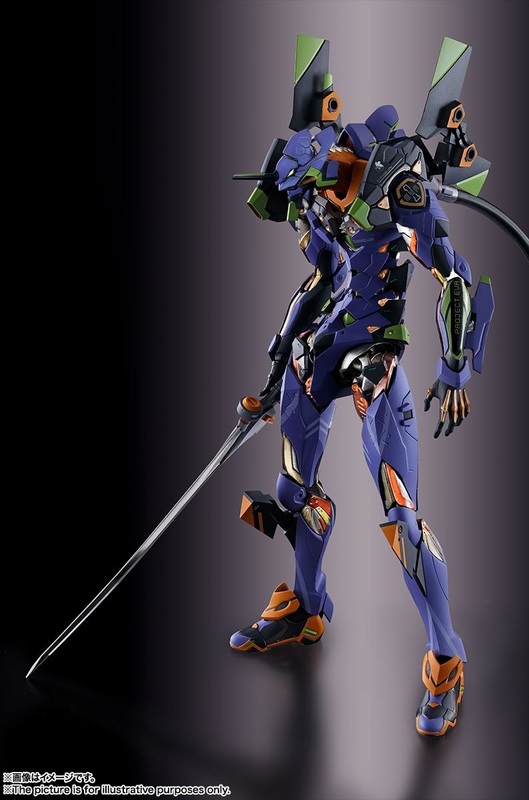 The Evangelion Unit 01 comes with 2 Progressive Knives with one also serves as a bayonet for the Pallet Rifle, Magoroku-E Sword, Counter Sword, Pallet Rifle with add-on option parts: a long barrel, grenade launcher, and a removable magazine, Hand gun with removable magazine, optional set of hands, Umbilical cable, extra part replacement for the head with goggle attached and a restraint cage display base. 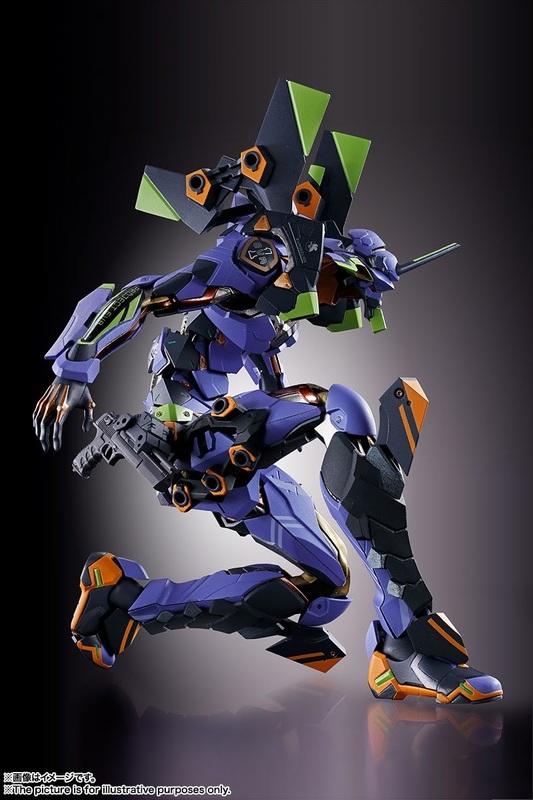 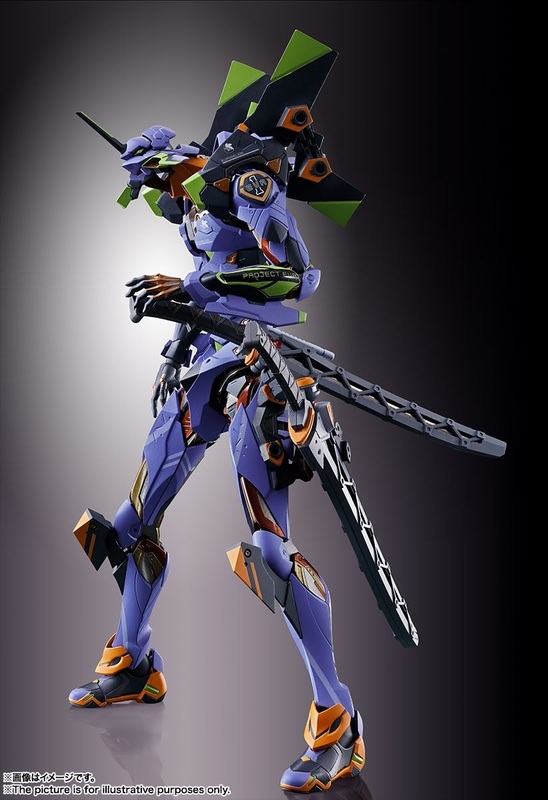 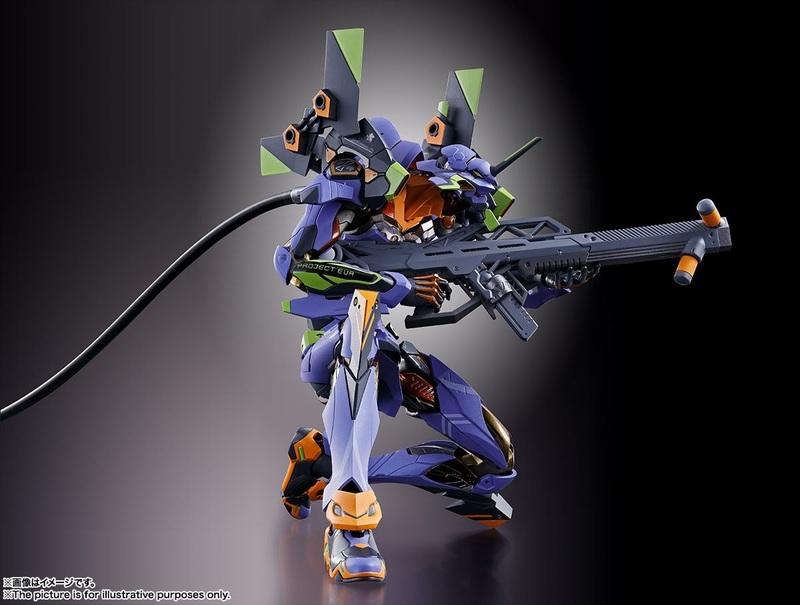 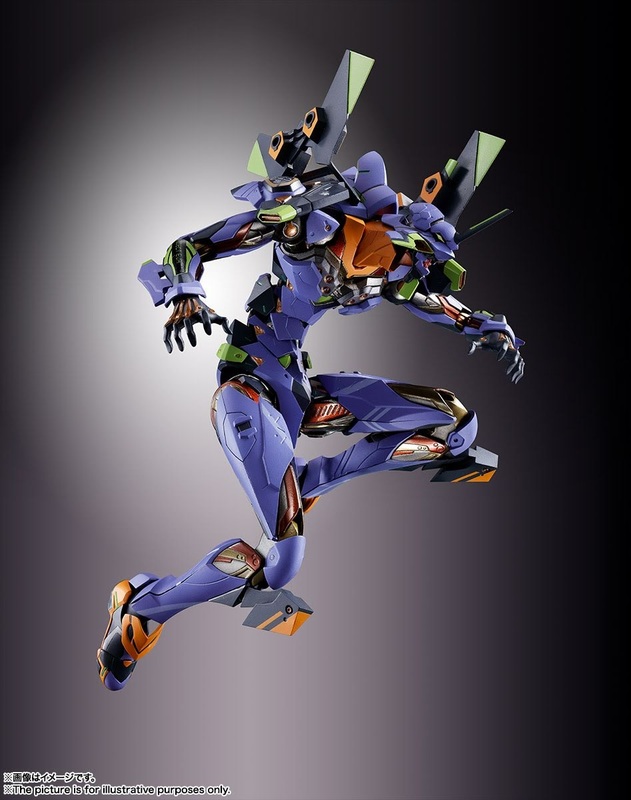 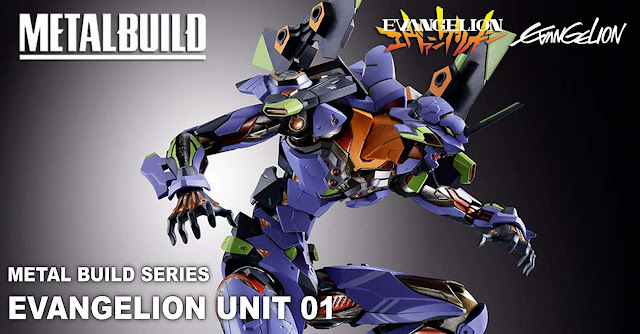 Slated for February 2019 release, the METAL BUILD Evangelion unit 01 is priced at a whopping 23,760 Yen price tag. 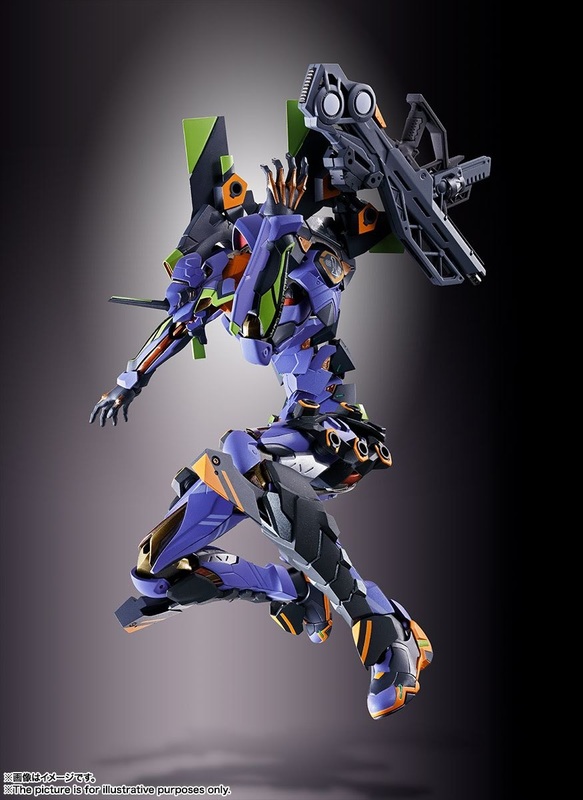 No Response to "Evangelion News: METAL BUILD Evangelion Unit 01 Official Images"